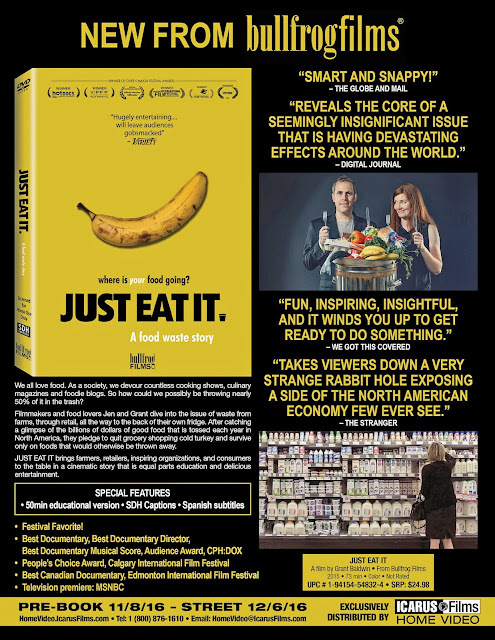 News arrived this past week that on Dec. 6 Icarus Films will be releasing on DVD the Bullfrog Films production of documentary filmmaker Grant Baldwin’s, Just Eat It: A Food Waste Story. What are the basic rules of survival? Water, food and shelter in that order are the keys to surviving in the wild. Your body can go only so many hours without water, so that’s first. Next, you can burn fat and survive for some period of time without food, but at some point that too will be a matter of life and death. Shelter, that could be some shade, or a cave in a snow storm … important as well, but food and water come first. So if water and food are so important — literally, to your survival — why on earth are we throwing 50 percent of our food supply away as waste? 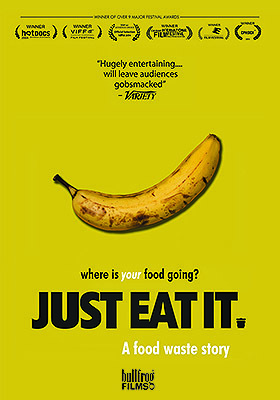 That’s the question that Jenny Rustemeyer and Grant Baldwin challenge the viewer in their film Just Eat It: A Food Waste Story. 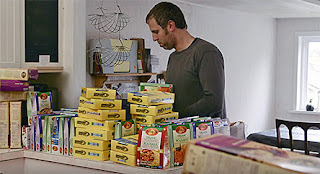 They take a radical approach to drive home the folly of our consumer-driven society and the unthinkable amount of food that is wasted each year. 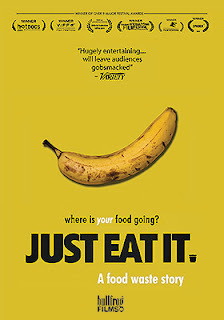 The plan: live for six months on food that is regarded as waste … food that is to be thrown away. That’s cringe-worthy, just the thought of dumpster-diving and picking through the half-eaten leavings of strangers. Sounds like a “vomit” thrill-ride! But that’s not what they found. Instead, farms with produce too late to make it through the distribution cycle — that was fair game. Yummy and nutritious, there’s nothing wrong with a bruised peach or a banana that’s gone a little mushy! And they found more. Boxes and boxes and boxes of “expiration date” products tossed out by grocery stores … perfectly good food products wasted; wasted by the ton! 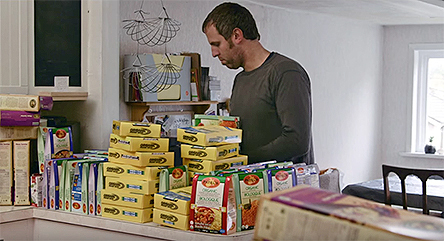 In the end, Grant and Jenny didn’t eat garbage, they never went hungry and they actually ended up with more food than they could eat. Bonus features include a 50-minute “educational version” cut of the film that can be shown in classrooms. Wolfe has selected Dec. 6 as the domestic DVD debut date for Italian filmmaker Maria Sole Tognazzi’s delightful romantic comedy, Me, Myself and Her. 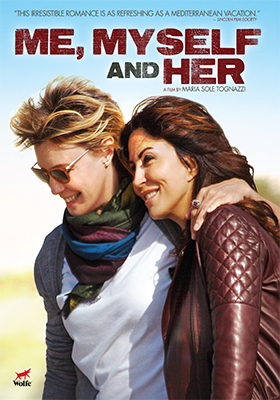 Marina (Sabrina Ferilli — The Great Beauty) and Federica (Margherita Buy — Mia Madre) are two absolutely gorgeous “middle-aged” women, living together for the past five years in Rome. They have the perfect home, seemingly the perfect relationship and they both have careers — Marina an actress and Federica is a successful architect. Perfect, except for one little problem, Federica is reserved and has carefully navigated the potentially rough waters of their relationship. She is divorced, has an adult son and just wants things to be the way they are — in a word: peaceful. But, when Marina is offered an important film role, coupled with a magazine piece that more than hints at her relationship with Federica, it is simply too much. The question then becomes, can they work through this, or has their relationship run its course … can they find that perfect balance again, or is there more going on here than meets the eye! This award-winner is presented in Italian with English subtitles. Wolfe also announced this past week that Nov. 15 will be the DVD debut date for writer/director Rob Williams’ Shared Rooms. It is the holiday season and a trio of stories involving gay couples all intertwine and head to breezy and light-hearted resolution at a New Year’s Eve gathering in the City of Angels. This is fun, no Kleenex or drama needed. Cal (Alec Manley Wilson) and Laslo (Christopher Grant Pearson) are a married couple who desire something more … all of their friends are moving on (you can’t be a “thirtysomething” forever) and they need to be more of a “family.” That bit of joy comes, perhaps, from a very unexpected source! Meanwhile, an online dating couple, Gray (Alexander Neil Miller) and Sid (Justin Xavier), who have an instant chemistry, but discover that they have even more in common than the physical attraction. And the final thread in our narrative is that of Dylan (Robert Werner) and Julian (Daniel Lipshutz), who have an unspoken “thing” for each other, but suddenly finding themselves having to “explore” that “thing” when they end up sharing, quite unexpectedly, a room together during the holidays. Bonus features include commentary from writer/director Roy Williams (Out to Kill, The Men Next Door, Back Soon, etc.) and a blooper reel. Truth can sometimes be stranger than fiction. In the world of creative filmmaking you can just make stuff up and the narrative can be pretty much anything you desire. 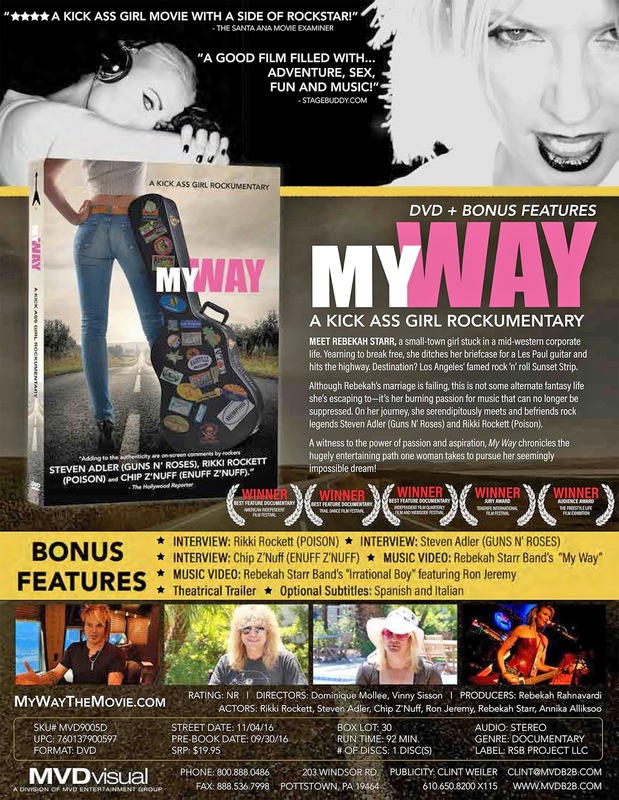 Flights of fancy to Mars, zombie hordes and the adventures of an all-female rock band seeking fame and fortune on the road can be made into compelling films … a little something to please most everyone. But in the case of The Rebekah Starr Band, filmmakers Dominique Mollee and Vinny Sisson set out the road with them before anyone had really “discovered” them and made a film that might have been the stuff of fiction, but was actually a cinéma vérité film documentation of their journey to stardom. This process could have ended with a bunch of unedited film clips sitting in someone’s garage. We got to Hollywood, we failed and then we went back home … THE END. But it didn’t turn out that way! 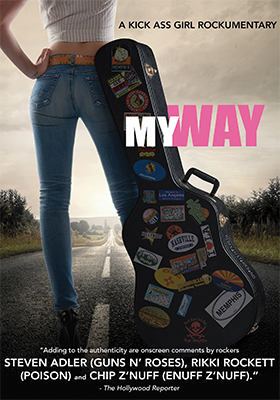 That is what you have with My Way, a road trip; an adventure that wrote itself … and that story will be making its DVD debut on Friday, the fourth of November courtesy of MVD Entertainment Group. Rebekah Starr (aka: Rebekah Rahnavardi nee Snyder) got her MBA and was married, but didn’t see much of a future in living in a small town in Pennsylvania, so she hit the road with her friend and bandmate, Annika Alliksoo … and she had the very good sense to chronicle that journey. With a self-produced album under her belt (Rockstar Girl! 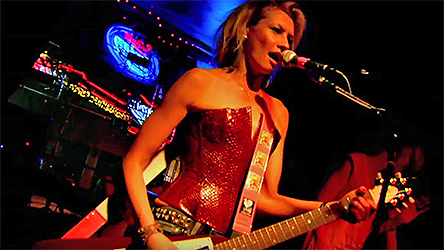 ), a repertoire of songs to work with, The Rebekah Starr Band landed a gig at The Cat Club (among others) and met some pretty interesting people along the way, including Bret Michaels, Ron Jeremy, Rikki Rockett and Steven Adler. They even got a hit single, “Pretty Playthings,” out of it … so come along and enjoy this self-fulfilling road trip. 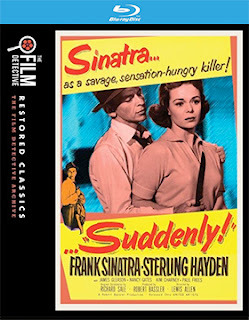 The Film Detective has selected Oct. 25 as the street date for a newly-restored (with original 35mm film elements) Blu-ray presentation of director Lewis Allen’s 1954 film noir political thriller, Suddenly!, starring Frank Sinatra, Sterling Hayden and Nancy Gates. This will be the first time that Suddenly! has been released on Blu-ray in its original theatrical aspect ratio of 1.75:1 (as opposed to the standard TV crop of 4:3 or 1.33:1). The film would have a devastating impact upon Frank Sinatra, as it — along with his 1962 film, The Manchurian Candidate — would foreshadow the assassination of president John F. Kennedy in November of 1963. So much so that Suddenly! was disowned and he forbid the home video distribution of The Manchurian Candidate until the late 1980s. 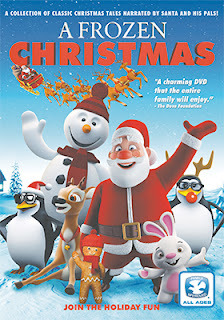 Holiday films don’t always have to be family-oriented. Yeah, sugar and spice and holiday fun with the family are all wonderful, but the occasional holiday-themed slasher film can help genre fans get into the spirit (Black Christmas, Silent Night, Deadly Night and Christmas Evil all spring to mind) as well! 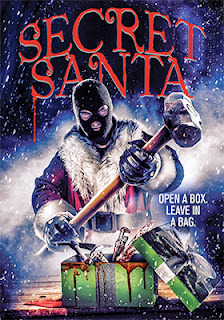 Wild Eye Releasing proves this “in hearts” (as opposed to the common expression of “in spades”) with the Dec. 13 DVD debut of writer/director Mike McMurran’s Secret Santa — a holiday-themed slasher tale (with college-age students — a delightful victim pool) — where no beating heart is safe from this “slay” driver. Paramount Home Media was busy this past week with an array of new December product announcements, so let’s get right to it! Dec. 6 sees the DVD rollout of director Jay Martin’s film adaptation of the James Patterson’s critically-praised sci-fi novel, “The Angel Experiment” — which was retitled for film release as Maximum Ride (after Max, the lead character, played by Allie Marie Evans … in her film debut). A secret lab has developed a half-dozen “hatchlings” that are 98 percent human fused with two percent avian DNA. On the surface that seems pretty silly, except you can’t get through a 24-hour news cycle these days without hearing about this DNA experiment or that DNA experiment, including the world’s first three-human baby. So what starts off as a flight of sci-fi fancy, will someday, for better or worse, likely be the new normal. 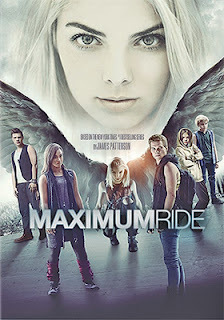 So, Maximum Ride is not all that farfetched after all! Max is the leader of these experimental humans hybrids, who have escaped from their captivity as teenagers and are now living in a remote forest … their special gift, the ability to sprout wings and fly, is kept a secret from the outside world. That is, until, another group of genetic hybrids, called the “Erasers,” are dispatched to bring Max and her group back to The Institute. 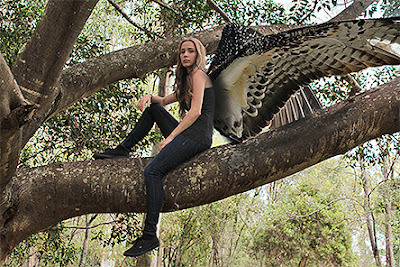 They succeed in capturing Angel (Lyliana Wray), the youngest member of the group, and literally use her as bait to lure the rest to their doom! 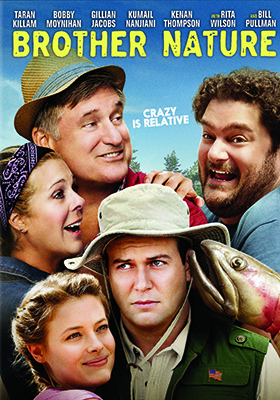 The following week, Dec. 13, Paramount Home Media is back with the DVD debut of Brother Nature, starring SNL alumni Taran Killiam and Bobby Moynihan. Roger (Taran Killiam) is an overly PC politician on the rise (with some big plans to run for Congress) who just happens to be in love. Her name is Gwen (played by Community’s Gillian Jacobs) and she wants him to take just a little bit of time off and get to know her family. “Of course, dear!” Famous last words! 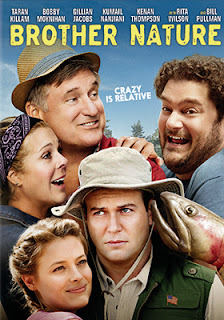 There’s her mom, Cathy (played by Rita Wilson) and her dad, Jerry (Bill Pullman) and her sister, Margie (Sarah Burns) … and then there’s her “lovable” brother, Todd (Bobby Moynihan). Todd is strange. Todd has little quirks, well no, make that BIG quirks; insane quirks. So when Todd takes a shine to his sister’s future husband and wants to be his new best friend, it is suddenly hell on earth for poor Roger! Everyday he spends with Gwen and her family is a new, potentially fatal, adventure (and that’s putting it mildly)! Also getting a Dec. 13 release date from Paramount this week — and in keeping with the month’s long 50th Anniversary celebration of all-things Star Trek — is the Blu-ray collection titled Star Trek - The Original Series: The Roddenberry Vault. 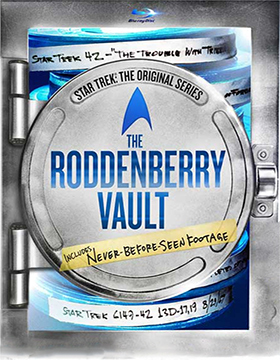 This three-disc collection features a dozen episodes from the original Kirk/Spock series that showcase previously unseen “vault” materials. Making its DVD debut on Dec. 13 is the 13-part whodunit, American Gothic: Season One. This four-disc collection focuses on the Hawthorne family, who must unravel the mystery of the possibility of having a serial killer as one of their family members. What’s cool about the series is that the cast members were not given the possible identity of the killer as part of the story arch — instead, they were given one episode script at a time and had to play accordingly (each could be the real culprit) … so without “tells,” it is anyone’s guess as to who the “Silver Bells Killer” might be. Last, but not least, Dec. 13 will see the release of both DVD and Blu-ray collections of the Nickelodeon-produced animation program, The Legend of Korra: The Complete Series — all 52 episodes! 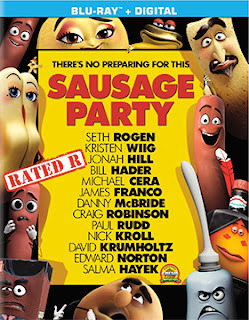 Universal Pictures Home Entertainment OWNS Dec. 6. This past week they said, with the duel announcements of The Secret Life of Pets and Jason Bourne, that that first Tuesday in December belongs to them! Disney take note, The BFG just got stomped on — Spielberg’s film landed there a couple of week’s ago and was looking pretty secure until now! 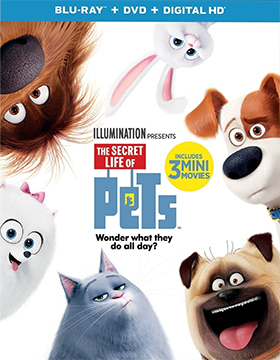 Starting with the big dog (pun intended), The Secret Life of Pets arrives in the home entertainment market place on Dec. 6 as a four-SKU selection — DVD, two Blu-ray/DVD Combo Packs (one with a 3D viewing option … the premium is ten bucks) and a 4K Ultra HD/Blu-ray Combo Pack. The ARR for this animated monster works out to a leisurely 151 days (no reason to rush this one to market) and domestic ticket sales were an eye-popping $364.9 million! With a number like that you can expect to see more adventures starring Max, Duke and their furry friends during the summer theatrical season of 2018. 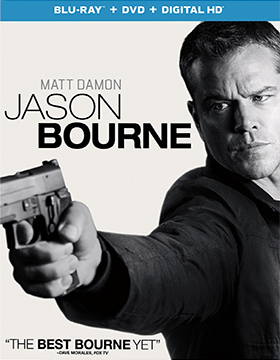 Teaming up to crush the competition on Dec. 6 is the long-awaited return of Matt Damon as Jason Bourne in director Paul Greengrass’ character-titled film, Jason Bourne. This will arrive as a three-SKU product offering — DVD, Blu-ray/DVD Combo Pack and 4K Ultra HD/Blu-ray Combo Pack selections. The ARR is 130 days and ticket sales were a solid $161.7 million. Hmmm, Bourne is back, Nicky (Julia Stiles) is killed off (just as Franka Potente was killed off in The Bourne Supremacy) and a new character is introduced, Heather Lee (Alicia Vikander) … with that box office take and a new character to run with, expect another sequel sooner, rather than later. 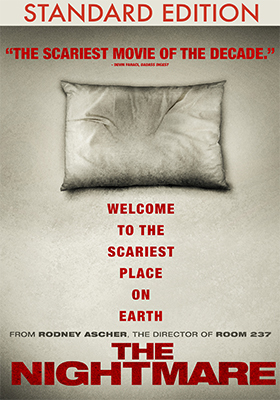 FilmRise, with domestic sales and distribution support provided by MVD Entertainment Group, has selected Nov. 22 as the DVD debut date for documentary filmmaker Rodney Ascher’s chilling exposé on real-life sleep paralysis, The Nightmare. A mix of actors and real-life reports create a film that is part horror tale and a somewhat fascinating look at recurring dream world, or perhaps better put, nightmare world experiences. Eight separate sleep paralysis tales are played out … whether factual or not, they will give you the creeps and leave you to ponder the terror of such an experience. Sony Pictures Home Entertainment will be releasing an “R-rated” version of the CGI-animated food-quest comedy, Sausage Party, on Nov. 8 as a three-SKU array of home entertainment product offerings. The ARR is a quick-to-market 88 days and ticket sales were a sizzling-hot $98.8 million. 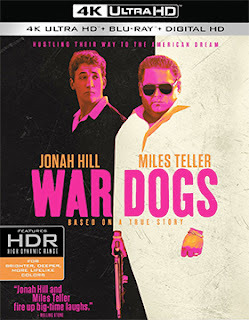 For the film that got millions of dollars worth of free publicity by having its risqué trailer shown prior to Finding Dory screenings, Sony Pictures will be delivering DVD, Blu-ray and 4K Ultra HD/Blu-ray Combo Pack editions. 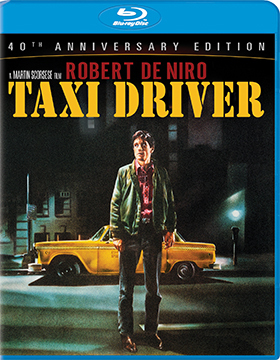 Also streeting on Nov. 8 is a double-disc Blu-ray presentation of Taxi Driver: 40th Anniversary Edition. This new 4K restoration of the film was supervised by cinematographer Michael Chapman and director Martin Scorsese … a limited Fathom Events theatrical presentation of the film will take place in selected theatres on Oct. 16 and Oct. 19 prior to the film’s home entertainment release. The film was nominated best picture in 1976, along with four other timeless films (a very good year at the movies) — Rocky, Network, All the President’s Men and the Woody Guthrie biographical tale, Bound for Glory — and both Robert De Niro and Jodie Foster were nominated in acting categories (De Niro losing out to Peter’s Finch’s brilliant Howard “I’m Mad as Hell” Beale interpretation in Network and Foster losing to Beatrice Straight as television network executive William Holden’s long-suffering wife in the same film). 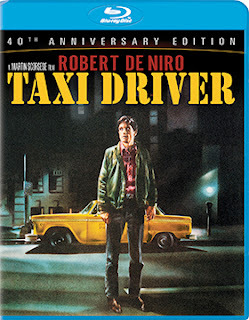 As to bonus features, there are two commentary options — one featuring the 1986 Criterion Collection-produced commentary with director Martin Scorsese and writer Paul Schrader and a newly-prepared commentary that also features Paul Schrader and the University of Virginia’s Robert Kolker (professor of film studies and the author of “A Cinema of Loneliness”). Additionally, there’s a 2016 Tribeca Film Festival Q&A session with filmmaker Martin Scorsese and actors Robert De Niro and Jodie Foster, plus six featurettes and a companion disc featuring a making-of documentary. Lionsgate Home Entertainment appears to have rejected a 4K Ultra HD buying option for director David Mackenzie’s critically-lauded thriller, Hell or High Water, home entertainment launch on Nov. 22. 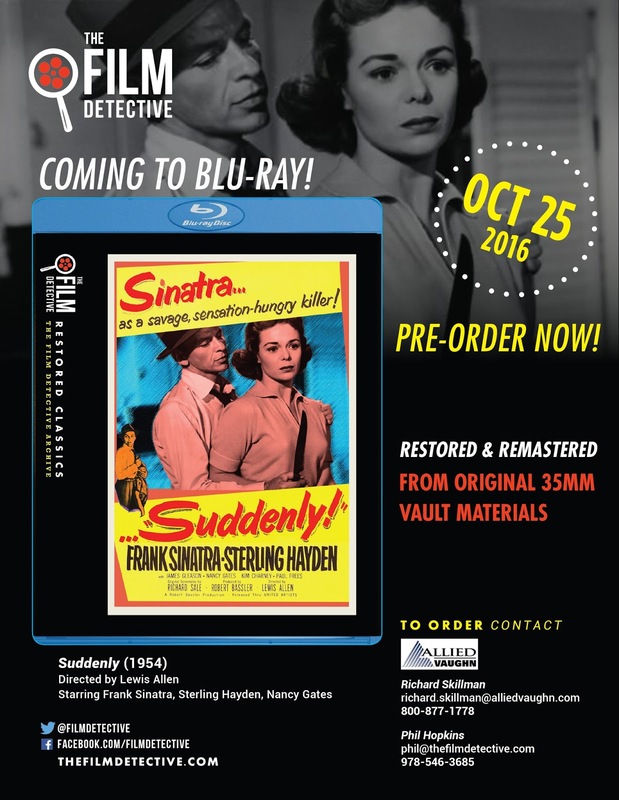 Blu-ray/DVD Combo Pack, yes; stand alone DVD, yes … but no 4K Ultra HD edition. Has the studio given up on the new format? The jury is still out, but this is strike two — both Hell or High Water and Nerve are heading to retail without a 4K Ultra HD buying option. 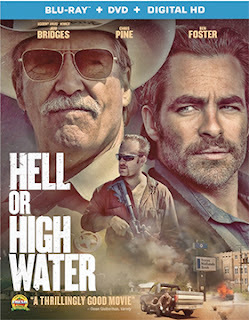 That Nov. 22 home entertainment launch date for Hell or High Water yields an ARR of 102 days from the film’s theatrical debut to its subsequent release as DVD and Blu-ray product offerings. The box office take was a nice $25.8 million. Exclusive to the Blu-ray/DVD Combo Pack are a trio of featurettes — “Enemies Forever: The Characters of Hell or High Water,” “Visualizing the Heart of America” and “Damaged Heroes: The Performances of Hell or High Water” — a filmmaker Q&A session (we’re guessing that would include director David Mackenzie and writer Taylor Sheridan) and video of the film’s “Red Carpet” premiere. Director Evan Tramel’s Dove Family Approved CGI-animated film, A Frozen Christmas, has been given a Nov. 22 DVD release date by Ruthless Films, LLC. MVD Entertainment Group will be directing the sales and distribution aspects of this family-friendly film’s home entertainment launch. You have to lock the doors and keep employees, talent, producers and other creative people from talking if you want to keep important information relating to release dates secret — especially those destined for release during the prime Christmas-selling season. With the prime real estate being gobbled up in the Thanksgiving to Christmas period by studios with their summer blockbusters, keeping secrets can be difficult. It can get messy as the cat escapes the bag and everyone with a stake in the game wants to know if the information is reliable. Here’s how the latest “jump-the-gun” adventure appears to have played out. 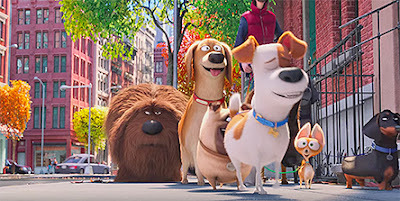 Universal Pictures Home Entertainment made back-to-back announcements revealing a Dec. 6 release window for both The Secret of Life of Pets (first thing on Tuesday morning, Oct. 4) and Jason Bourne (mid-morning on Wednesday, Oct. 5). Within an hour of the Jason Bourne announcement, news leaked that Warner Bros. Home Entertainment would be putting out an unrated presentation (an additional 13 minutes worth of footage) of writer/director David Ayer’s Suicide Squad on Dec. 13. The details were lacking, but the final artwork was revealed, as were the details relating to the SKU configuration. There will be a stand-alone DVD edition, two Blu-ray/DVD Combo Pack presentations (one with a 3D viewing option … the premium will be nine dollars) and a 4K Ultra HD/Blu-ray Combo Pack. The ARR for this Dec. 13 release date is 130 days and ticket sales currently stand at $320.9 million. 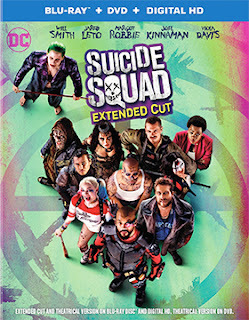 The leaks did not stop with Suicide Squad, as within hours of its Dec. 13 “announcement” several major retailers — Walmart and amazon.com among them — began taking orders for a three-SKU helping of director Todd Phillips’ War Dogs, the true-life film adaptation of Guy Lawson’s follow-up book, “Arms and the Dudes,” to his original Rolling Stones feature piece about fly-by-night arms dealers Efraim Diveroli (played by Johan Hill) and David Packouz (Miles Teller). 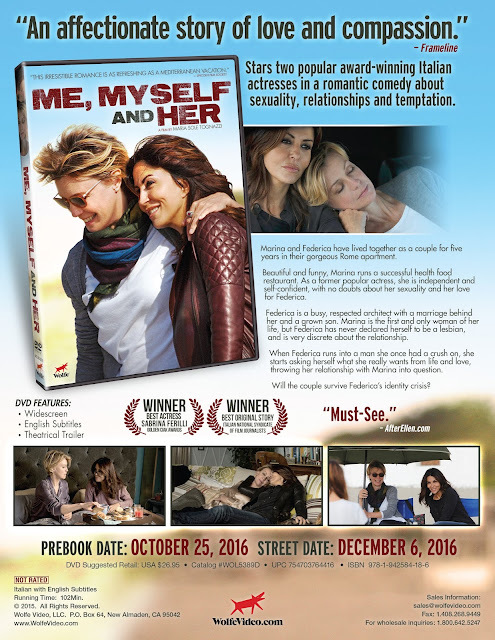 The street date is Nov. 22 and the SKU configuration includes a DVD edition, a Blu-ray/DVD Combo Pack and a 4K Ultra HD/Blu-ray Combo Pack. The ARR for the Nov. 22 release date works out to 95 days and domestic theatrical receipts came in at $42.8 million.